It's been a hell of a fight to get here! 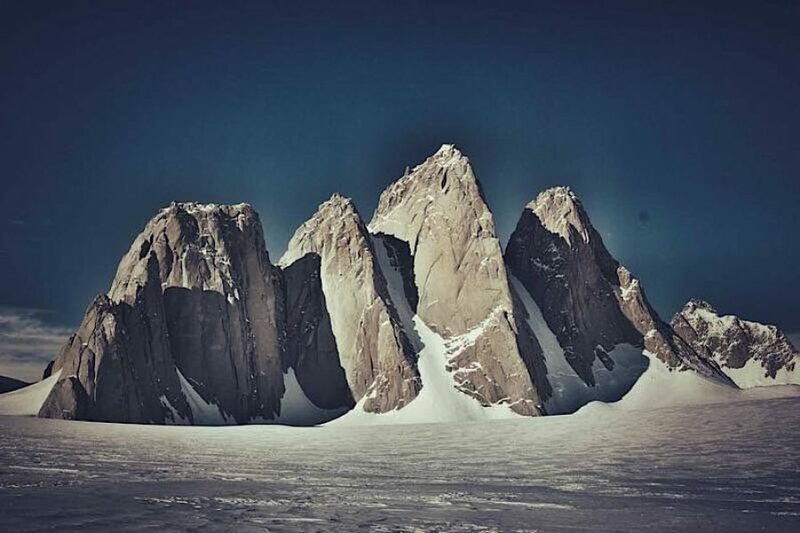 Just wanted to say a massive thanks to all the Wally Herbert Award trustees for helping to enable us to finally be here; camped right below one of the most magnificent and remote mountains on Earth; The Spectre. It’s been a hell of a fight to get here! We expected it to take 5-10 days, in fact it took 15 days including 6 tent bound days in full scale blizzard conditions. 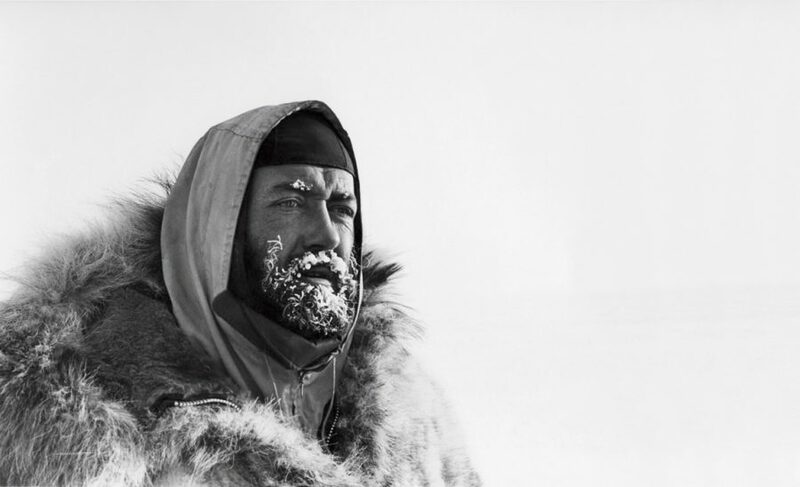 With windchill it was -60C for our ‘welcome storm’ where we were dropped off 220km from the South Pole! My god I had the least pleasant toilet experience of my life! Only 260km from our drop off to here on good terrain with kind winds it’s not unrealistic that that could be done in a single day. But we have had the opposite. Every kilometre has been hard won bar one fantastic, less demanding 70km session a few days ago. Oh and an amazing 30km in little over an hour immediately after passing the South Pole fuel convoy on the south pole traverse that you drove some years ago. I’m amazed your pimped up Ford Ecolines were able to handle the sasstrugi national park! BTW we were collected from the Ilyuson in your old big blue bus! 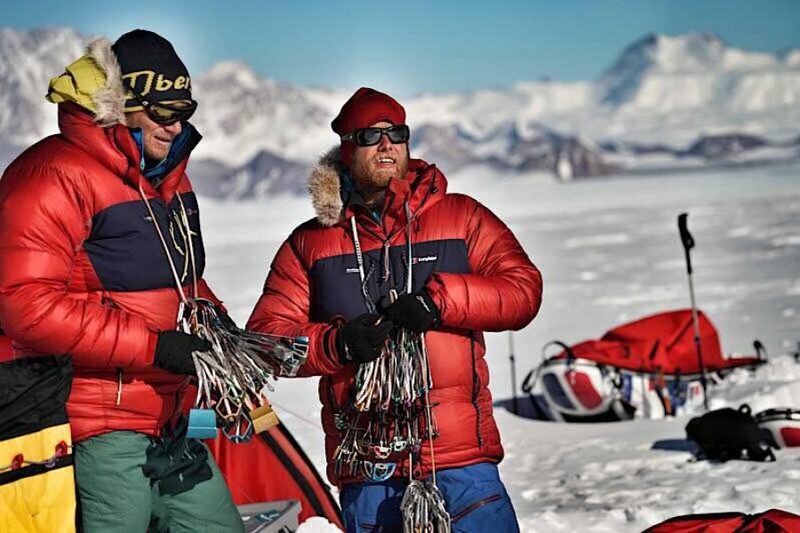 We have had to kite in far stronger wind and worse weather than we anticipated and have faced terrible surface conditions from 1m high sasstrugi to major crevasse fields, to ice falls and leg breaking, rock hard pressure ridges. By far the most demanding and technical terrain I’ve ever tried to navigate with a kite not to mention the 180kg loads we been pulling! So much for the typical Antarctic high pressure and predictable, light katabatic winds! I’ve been thrown around violently by my kite, my pulk popped into a crevasse and almost dragged me down, and we’re all feeling slightly battered and in need of a little rest before we confront the vertical element of our expedition. Right now we are cooking freeze dried eggs and real bacon to celebrate our arrival and replenish dwindling reserves. But challenge and adventure is what we set out for and my word have we found them both in abundance and we are but 25% through our journey. Whether negotiating our way out of crevasse hell or securing the tent in 40 knots. I brought a couple of his books but my kindle broke so I’m looking forward to reading up more in the great man when safely home. Equipment and morale are holding up well. Yesterday we slogged our reduced loads up from the Scott Glacier at the end of kiting terrain up to this magnificent camp right below the Spectre. It is very impressive and in the current overcast, gusty weather very intimidating. However when the sun comes out and the wind drops to zero it is almost inviting. Our weather forecasts are unreliable so we will need a bit of good fortune. Today we will attempt to circumnavigate the mountain inspecting route options and descents. Then over the next week or so we will attempt to climb this mighty mountain here at the end of the Earth! Warmest regards from the coldest of places!